Cinema on the Bayou has announced its official selections. Submissions are now open for the 11th Cinema on the Bayou Film Festival through FilmFreeway and Withoutabox. 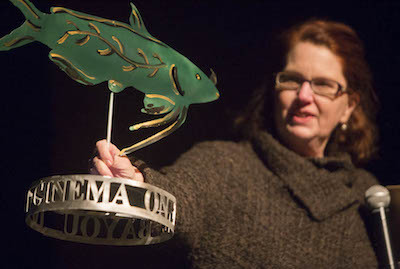 Thanks to the tremendous response of filmmakers from around the world, Cinema on the Bayou will expand to an eight-day festival to be held on January 20-27, 2016, in varous venues around Lafayette, Louisiana. In this way, we can accept more official selections of high quality films. See the ABOUT section for more information about the Festival and submission guidelines. CINEMA ON THE BAYOU FILM SOCIETY PRESENTS THE WORLD PREMIERE OF "COTON JAUNE - ACADIAN BROWN COTTON"
Cinema on the Bayou Film Society is pleased to present the world premiere of COTON JAUNE - ACADIAN BROWN COTTON, a documentary film by Sharon Gordon Donnan and Suzanne Chaillot Breaux on the history, tradition and artistry of handspun and hand woven Acadian brown cotton blankets and the Cajun women who made them. The film screens on Wednesday, May 13, 2015, at Vermilionville as part of a film program from 6:00 p.m. - 8:30 p.m. in recognition of the 250th anniversary of the arrival of the first Acadians in Louisiana. The program will begin with an introduction and short film presentation by filmmaker Pat Mire on the arrival of the first Acadians to Louisiana and the significant role that women played in keeping the culture alive. 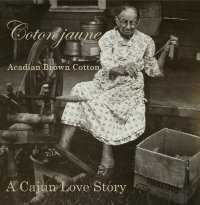 COTON JAUNE - ACADIAN BROWN COTTON is an important cultural documentary film that tells the story of the women who struggled daily with the rigors of rural life yet found time and energy to create heirloom treasures for their families. The filmmakers and Dr. Ray Brassieur will participate in a Q&A with the audience after the screening. 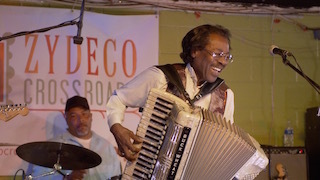 A gala reception for the filmmakers will follow with music by the amazing duo of Yvette Landry and Richard Comeaux. Admission is $5.00 at the door. There will be a cash bar and food available for purchase from Vermilionville.